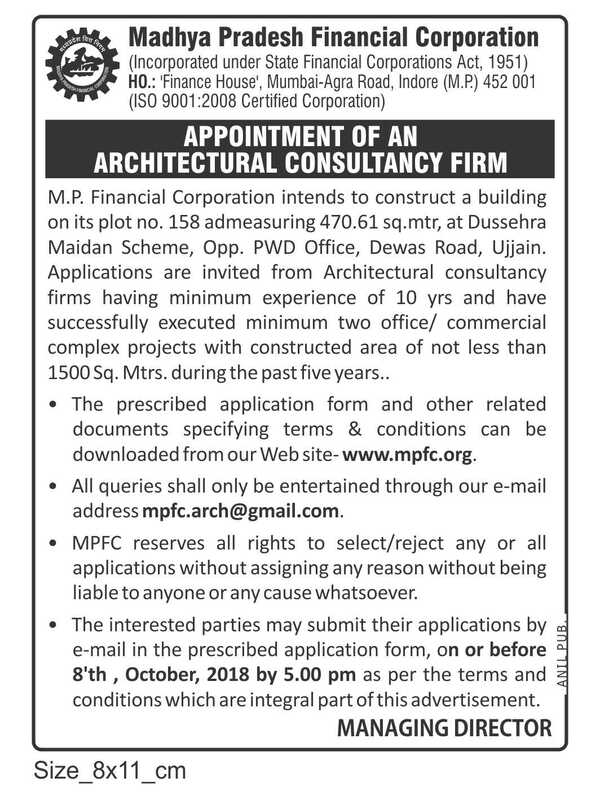 Home Page of MPFC- Madhya Pradesh Financial Corporation- An SFC engaged in industrial finance, merchant banking and industrial asset sale. Madhya Pradesh Financial Corporation is the premier institution of the state, engaged in providing financial assistance and related services to small to medium sized industries. . Incorporated in the year 1955,under the State Financial Corporation Act, 1951 (No. LXIII of 1951), it works under the control of the Board of Directors, consisting of representatives from State Government, Small Industries Development Bank of India, Reserve Bank of India, Scheduled Banks, Insurance Companies, Co-operative Banks and other shareholders. MPFC is a well knit organisation with its head quarters at Indore - the industrial hub of Madhya Pradesh, and 20 offices at different places. The "Right to Information 2005 lwpuk ds vf/kdkj vf/kfu;e 2005 ds rgr fuxe dh tkudkjh ,oa dk;Ziz.kkyh dh iqfLrdk " - MPFC Booklet is available here. The "Memorandum of Understanding for the Year 2011-12 entered with Govt.of M.P." Annual property returns of the employees. Please download the Hindi fonts and install it on your computer for proper viewing. "Finance House", Agra Bombay Road, Indore, 452 001. Last Modified / Reviewed : April 09, 2019.